Carl Landry has been a dangerous power forward in the NBA the last three years, being able to put up high numbers on any night. In his first two seasons in the league, Carl helped the Houston Rockets get to the Playoffs, while he now hopes to do the same with the Sacramento Kings. 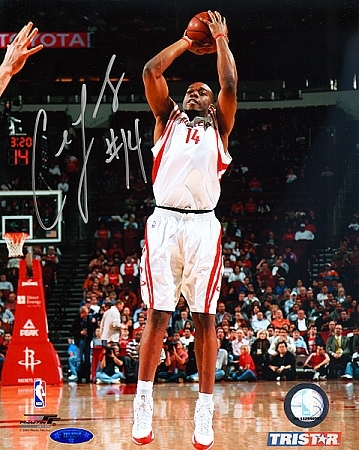 Carl Landry has personally hand signed these photos. Each Carl Landry autographed photo is guaranteed authentic, and includes an individually numbered TRISTAR Authentic hologram. You can verify the authenticity of your autograph by entering your hologram number online at www.tristarauthentic.com.